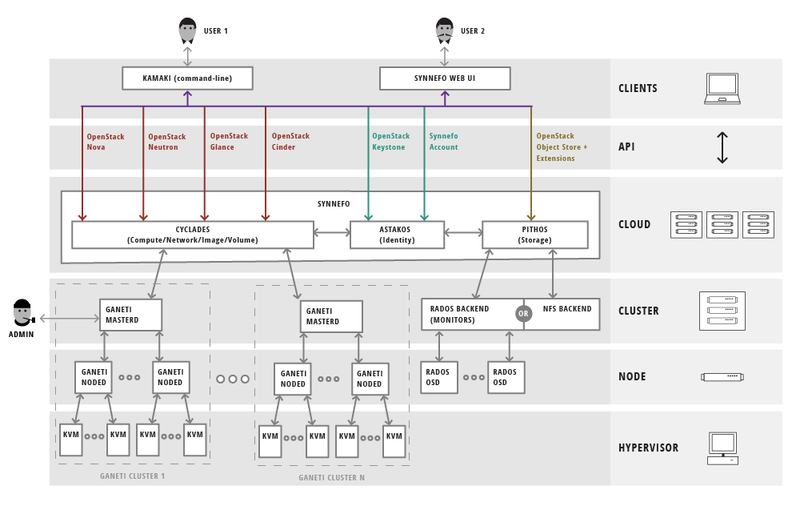 On a previous post, almost a year ago, we described the services and REST APIs of Synnefo. Note that in the left part (Compute/Network) the cloud layer (Synnefo) interacts with the cluster layer (Ganeti clusters) only via HTTP in the effect path and only via AMQP in the update path. The cluster layer does not access any DB, allowing us to scale linearly by adding new nodes on a Ganeti cluster or new Ganeti clusters altogether, even in geographically distinct locations. transparently, without the need to change anything on the upper layers, may these be Ganeti or Pithos. 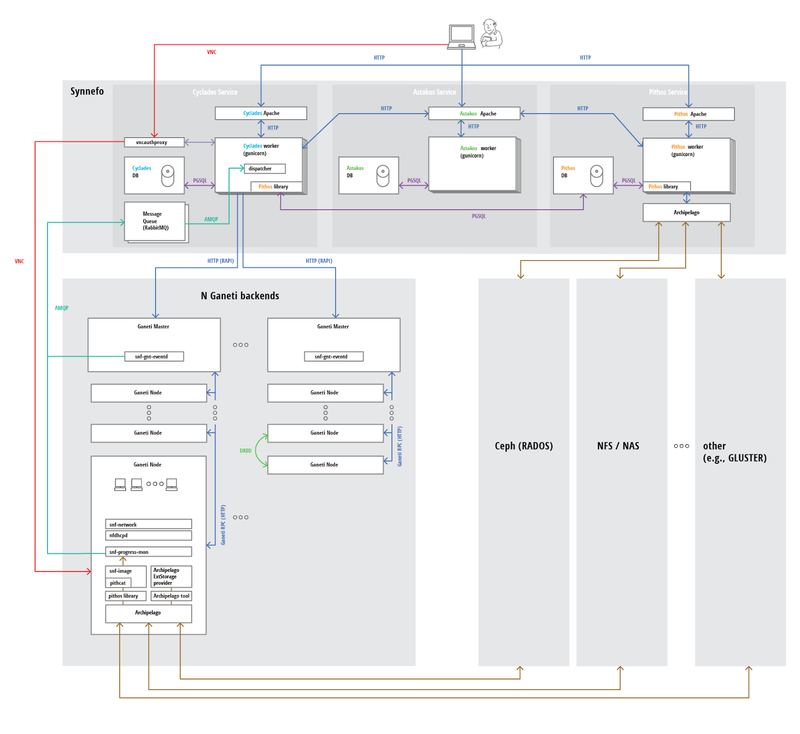 So, hope you find the above interesting and hope the diagrams help everybody to understand the Synnefo architecture a little better.